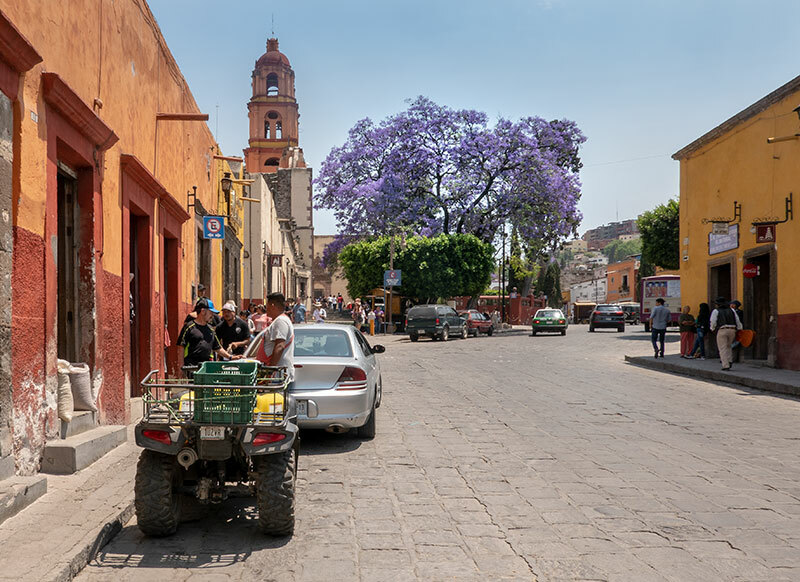 At this time of the year in San Miguel and throughout Mexico, the Jacaranda trees burst into flower, and the sales of antihistamines skyrocket. Their pollen sends many snuffling into their handkerchiefs. Here looking up Insergentes towards the belltower of the Oratorio. On the left a quadrimoto delivers fresh fruit and vegetables to the Zaragosa hole-in-the-wall bodega.